Young LFC forward Rhian Brewster has offered an update on his fitness having been out for several months with a long-term injury. The England youth international has been missing for some time with ankle ligament damage sustained around the beginning of 2018, but is now back training. He tweeted a short clip of him at Melwood, along with a running emoji. Still just 17, Brewster has a big future ahead of him. Hopefully, he will be back on the pitch very soon and able to continue his rapid progression. 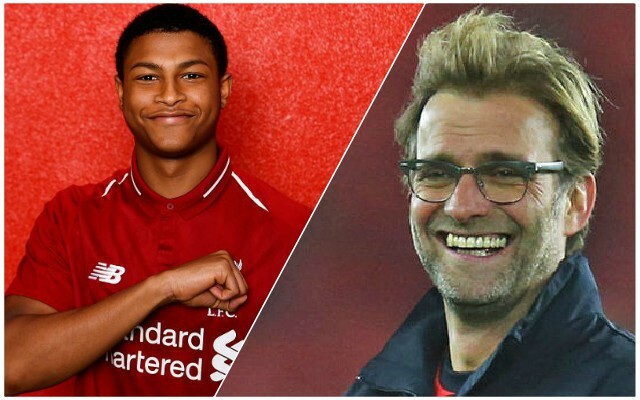 The reason Klopp didn’t want to sign another forward during the summer was to keep the door open for the likes of Brewster, who he rates very highly.